You put allot of time and effort into selecting just the right area rug for your home or office. Just like all investments, your rug deserves and requires regular, professional cleaning. Where can you turn in Antelope and the great Sacramento area for expert cleaning of your prized possession? Artistic Associates was established in 1970 and has been built by means of referral. Therefore, we have an excellent reputation for high quality work and exceptional customer service. Sacramento’s finest interior designers as well as many local companies such as Rytina’s Fine Cleaners and Allied Custom Upholsterers send their clients to us for full-service cleaning and restoration of area rugs, upholstery and carpet. 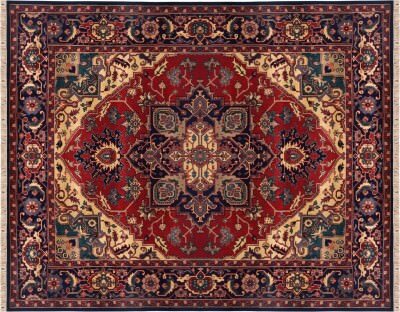 The average carpet cleaner is rarely qualified to clean genuine oriental or exotic rugs. If you attempt to clean them as you would regular wall to wall carpet, you can easily ruin the rug by causing bleeding of natural dyes or damaging wool or silk fibers. Like Artistic Associates, many cleaners may be insured incase of damaging your favorite rug, but who wants to shop for a new rug when you’ve already selected the ideal one for your home or office? You just want the one you already own cleaned! With more than 40 years of experience and specialized training from IICRC (The Institute for Inspection, Cleaning and Restoration Certification) we are well equipped for every job we accept. This expertise is necessary if you want your rug looking like new rather than having to shop for a replacement. You have our personal guarantee that your rug will be in our hands every step of the way. We never send your rug to an unknown subcontractor! We treat all wool, silk and custom Oriental and area rugs in our specialized Sacramento facility where we can gently hand wash your rug and care for any special spotting concerns. Our customized in-house facilities, our detailed procedures and top trained technicians are your best guarantee of being satisfied with the end result. In addition, as all professional companies should be, we are fully licensed, bonded and insured. Artistic Associates utilizes a customized 8 step process when cleaning all custom made and Oriental rugs. Our time tested procedures will provide the high quality results your beautiful area rugs deserve. We even treat issues such as moth damage, pet contamination and water damage. We also offer high quality custom cut area rug underlayment essential for extending the life of your rug. Be sure to select the rug cleaning company that Antleope trusts! Our facilities, training and honest pricing are all guarantees that you will be ecstatic with the results. Discover how Artistic Associates makes cleaning an art! Our Antelope, California clients can reach us at 916-483-7400.